Today, Natalie Ledwell speaks with Keidi Keating, the author behind The Light to discuss the amazing charity work that she is doing around the world with many other personal development visionaries. During the show, Keidi explains that she has worked as an author, editor and publisher since she was 18 years old, but after falling into depression, she longed to discover her life purpose and began regularly working with a transformational healer. Keidi shares after getting in touch with her intuitive, spiritual side, she was able to release physical and mental blocks that had kept her from reaching her full potential. Today, Keidi works with personal development gurus such as Neale David Walsh, Terry Tillman, and many others to spread life-changing messages to anyone going through a difficult time. Keidi's goal is to raise 1 million dollars for the multiple charities that The Light supports around the world. Some of the charity projects include; Conversations with God Foundation, Love a Child Foundation, and many other inspiring organizations. 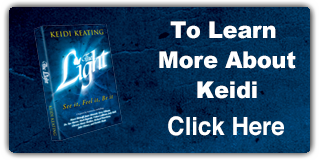 Natalie: Today on the show I'm speaking with Keidi Keating, the author behind The Light. Talking about the amazing charity work they're doing around the world. So, stay tuned. Natalie: Hi! 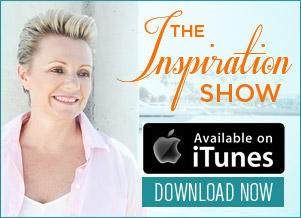 I'm Natalie Ledwell and this is The Inspiration Show. And today my special guest is Keidi Keating. How are you, Keidi? Keidi: Hi, Natalie. I'm great, thank you. And it's a pleasure to be here today. Natalie: Thank you. Now, Keidi's coming to us all the way from Spain, which is lovely and all this from her accent, you can tell that she is from the UK. But the reason I've asked Keidi here on the show today is because she is involve in an amazing project and I really want her to share all the details with you about. But first Keidi, what we do in the tradition of the show is to just ask you what your background is and what it is that you do? Keidi: Okay. Well, I'm a writer. I've been a writer since I was about 18, really. And I did books as well and I help writers to get their books published. So, that's really what I do in terms of my kind of job from where I get income for, but then, I've also put together this book which is called The Light and that is a fund raising project. Natalie: Right. Now, I actually briefly looked at The Light and it's like a compilation book of some really amazing people that you've joined together for this. So, just can you outline a few people that are involved with the book? Keidi: Yeah. Well, in 22 luminaries we've each contributed chapter and we have nailed our watch to a lot of playlist which you'll probably know because we did a reckon sessions with our clerks. And we have Don Miguel Ruiz who is the author of The Four Agreements and all the other agreements books that came after that. And we have Marci Shimoff who I'm sure that people will know as the author of Happy for No Reason and Terry Tillman who I know you know as well. And so, there's a lot of people in here, that all come together, and it's really an amazing group that combined with energy, its fantastic! It's just amazing to be part of it all. Natalie: So, what was your motivation behind putting book together and getting these people together? Keidi: Well, it all started when I went through quite a down depressed spell in my life. And what happened is, I actually, which a point where I looked up and asked, you know of God, the universe or whatever you wanna call it for some direction and some kind of help to show me why I'm here for. It was really, cause I thought like I was lacking a part of, I didn't know why I was here on the planet, and I really wanted to know, in fact we all do. So, I just asked and about a day later, I was looking through a magazine and there was an ad there for the mind of the Holy Spirit festival, you know 20 minutes away, up the road and I thought, "Wow! I need to go to that. I just had, I know it inside." And I wasn't even into spiritual stuff at the time. So, with a bit kind of illogical, I just knew I had to go and instead I met this man who did cellular healing and he basically kind of told me a bit about what it was. And again, I had it knowing inside that I had to go to have sessions with him, so, the cellular healing. And you know, I did that and it released a lot of trauma that happened to me in the past and a lot of physical things already on my body during the session, a lot of releasing stuff that you know, go pouring out. And from there, I started to have longer spiritual experiences. Natalie: Okay. So, what are we talking about when we say spiritual experiences? What do you mean? Keidi: The very first thing that happened was I got home from that first session I ever had and I was absolutely exhausted and this was like mid day. It felt like, I've had like two days, about a week or something, it was amazing. So, I just went to sleep. And as I sort of woke up, I heard my name, whispered in my ear, very definitively. And it was like, "Keidi, light up!" in a thought of whisper. And I just thought, "Wow!" It really felt like there was somebody there, but there was nobody else in the room except for me. So, I knew that I heard people who've had these experiences and they say the angel, speaking to them or something. So, I just put it down to that. You know, I think I was going through such a tough time in myself that it was always like a sign that you know, your angels are there for you and your God or whoever it was that whispers, that was definitely some kind of thing there. And then, I started seeing spirit well, and the more sessions that I had, the more things that starts to show up. And things were turning their selves on and off in my apartment, you know like fidgy little things and things that have meaning or significance, really. And also, you know I saw like a big ball of light one night in my room, in my doorway, trying to speak to me, and I knew it was a man, even though it didn't have a form as a man. And he was like, he forced with the marble and he was trying to say something, and it was the very next day that I got the idea in my head that I have to put together this book. And I didn't have a time at the time; I just knew the book of people that's helped me. So, time saved my life, because of this time I'd attracted probably about a real 10 people into my life who were able to help me in different ways. Natalie: Right. So, when you called the book, The Light. What are you talking about? Bringing out someone's essence, someone's bringing out their true self? What do you mean by The Light? Keidi: Yeah. I mean, I think we've all heard about it in our spiritual heart, I supposed we all have this inner light. I supposed it's our soul, you know it's difficult to really state where it is in the body. I supposed it's not really well, oh well its inner. But it's got radiance that we all have inside, its the God energy that we all love and it's about tapping into that because I think as children we all have that, we are so much more connected to it. But I think we're older, all the mundaness of adulthood and stress of life kind of marveled it and pull and kind of show over that light. So, this is about real awakening in the light and then various ways which people could do that and all of which is described in the book and its not like they need to do all of them, it might be one, a particular one that really calls to them. Natalie: Right. Cause they might just associate with one author or one message. So, can you share maybe one of the messages that kind of resonates with you, that was included in the book and who wrote it? Keidi: Well, I'm just looking at the book here. I've got the book here by the way, to show people and anybody who's interested on what it looks like. Well, I mean they're all amazing in their own way. In terms of like their personal stories, I really congratulate Janet Attwood's story. As her story really does tell how she follows her heart on a daily basis and how that led her to have a very successful and fulfilling work. You know, doing what she loves to do. So, I do love her story. And there's another story that's very, I suppose more dramatic in a sense. This is my good friend Julie Chimes who helped me put the book together a lot and she been my mentor actually, or one of my mentors throughout this whole process. And she had an experienced about 25 years ago, when she was nearly stabbed to death, as she was helping a lady, a mentally unstable lady, obviously and this was in her home. So, when this was happening, she left her body, she had plenty amazing experiences of being outside her body and she maybe sound to you, one of into you who likes to date but you know, it's a really touching story, and the way she forgave her attacker, in the moment of being stabbed when she cried that's where she left her. And so, you know, her experienced is all about forgiveness and that's why we're obviously releasing all these show about out in the lights because of this thing forgiveness, we all have people that we can forgive with our life and hopefully not as so dramatic as Julie's experience but we know, some people might have similar thing happened. You know, that was one of the stories that I really felt, quite a powerful one to have in there. Natalie: Yeah. I know it's amazing sometimes when you listen to their stories. But that sounds amazing, being able to forgive your attacker in the moment of the attack. That is incredible. So, alright, let's go to all this amazing losses, if you got all these incredible stories to really help us step into the better version or the lighter version of ourselves. Now, I know the book is just the beginning; it's just one part of this whole project. So, can you tell us a little bit more about what project the books attached to? Keidi: Yeah. Well, the whole goal when I got this message to put this book together, I was also told that it has all be for charity, a hundred percent for charity. And obviously, at the time my mind was kind of like, "Well, you know, I've been thinking, how am I gonna do that? I can't do charity because I've got needs to pull myself and all these stuff but I have to just have faith and trust to this message." And so that's what I'm doing with it, you know give a hundred percent of the net profit in all the 7 different charities that we've selected and it's all divided up alittle bit differently, according to the size of the charity. And that's we're waiting for, we have a goal of one million dollars, to raise one million dollars for the charity, all the profit, because, I mean we kind of set big goals. So, we're saying at least one million dollars, even if we could be more. Natalie: You know what, you've gotta put the number out there. You've gotta say atleast a million dollars because I'm sure that anything that you created is great but a million dollars is a fantastic target to have. So, what are some of the charities that we're helping with the project? Keidi: Okay. Well, one of them is a request to Julie Chimes' heart, her idea and it's called The Forgiveness Project which is based in the UK. We also have the Alder Hey Children's Appeal, I think it's Alder Hey Children's Charity actually, they changed their name, that one's based in UK as well and that's why children could hope so. And then we have the Heartfelt Foundation which is the one in the US and Conversations With God Foundation which is Neale Donald Walsch started to help sread his teaching. And we've got the Shingirirai Trust which helps African women mainly and the Love a Child Foundation and then the other one is our charity which is, our charity The Light Worldwide. And our charity really aims to provide and support for spiritual education for children. That's a really big passion of mine and so, that's what we wanna achieve for our charity. Natalie: Yeah. Yours and mine, both, Keidi, we have to talk more about this after we film. Cause I probably mention this in a video not long ago, like every week, I have these conversation, we need to read to kids. So, it's my focus. It's awesome! Keidi: Yeah. I want to speak to you about that. Natalie: Now, Terry Tillman, I actually saw last weekend. And he has been involved in many books and projects like this. But he said, "This is the one" that he feels so passionate about. He really feels amazing about this project and I know that you're making big waves around the world. So, Keidi, if we wanna send someone, where they can actually buy the book and contribute to the charities, where can we send them? Keidi: Okay. Well, the best place to go inquisition about the book is thelightnetwork.com. Or just thelight or you could just go to thelightnetwork.com and then, you know, its all really goes from there anyway and so, that's for the book. And for the charities, we've actually pull something called the spread the light campaign and it just list ways in which people, readers or other people that could just helped to spread the message of the book. And one of them needs to donate money to the million dollar funds. And that website is spreadthelightcampaign.com. And have all the details on then and then drop to donate boxes and we also need ways in which people could help through social media, like yourself, if somebody has like a great show like this. Commenting, "Oh, wow! Thank you for the interview or something." So, they drop the ways. Natalie: Wonderful! Keidi, thank you so much for joining me today, I hope that we can really help to spread the word. And guys, I encourage you not just to share this video which you could do through the Facebook and Twitter share buttons above, but to share the word about this campaign and amazing work that it's doing, and about the book as well. So, thanks again, Keidi, for joining me all the way from Spain. Keidi: Thank you. It's been amazing. Thank you for your time. Natalie: You're welcome. And, guys I encourage you to share the video. And also, if you haven't done so already, make sure you put your email on the box above there. 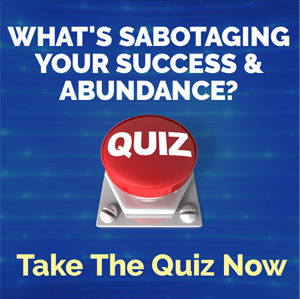 I'd love to send you my Manifesting with the Masters Video E-Course. 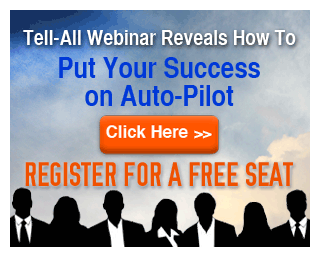 Includes master like Bob Proctor, John Assaraf and Joe Vitale. Its valued $87 but I would like to send it to you for free. So, make sure that you put your email on the box above there. So, until next time, remember to live large, choose courageously and love without limits. We'll see you soon.